Samford Arts is hosting a variety of performances at the end of February. The Samford String Quartet will perform Feb. 20 at 7:30 p.m. in Brock Recital Hall. This will be the first performance on campus since performing at Carnegie Hall in fall 2016. The String Quartet is endowed by the Wilton H. Bunch family and is comprised of Jeffrey and Angie Flaniken and Caroline and Samuel Nordlund. 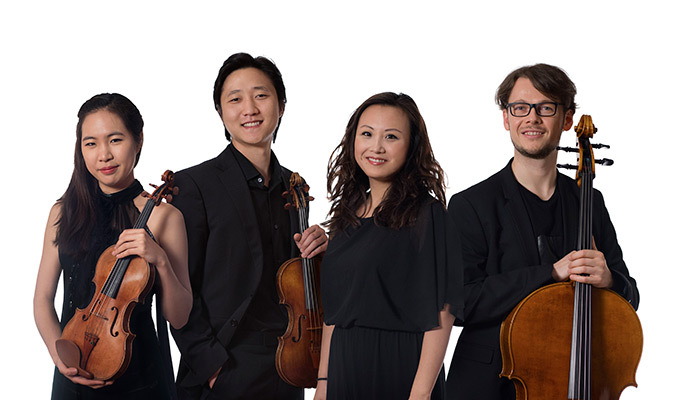 The Davis Architects Guest Artist Series continues Feb. 22 at 7:30 p.m. in Brock Recital Hall with the esteemed Chamber Music Society of Lincoln Center. Vienna To Hollywood includes pieces by Schubert and Korngold performed by piano, cello and violin artists. The Chamber Music Society of Lincoln Center is one of 11 constituents of the largest performing arts complex in the world. Feb. 23 and 24 at 7:30 p.m. in Harrison Theatre, the annual Michael J. and Mary Anne Freeman Theatre and Dance Series presents the Samford Dance Company. This year’s program, The Collective, represents a unique School of the Arts collaboration including projection art by Scott Fisk, art installations by Stephen Watson, music compositions by Mark Lackey and performances by Brian Viliunas and Samuel Nordlund. All are School of the Arts faculty members. February will end with the Patty McDonald Orchestra Series Feb. 27 at 7:30 p.m. in Brock Recital Hall. Tickets for the Davis Guest Artist Series and dance concert can be purchased online. Other events are free to the public.